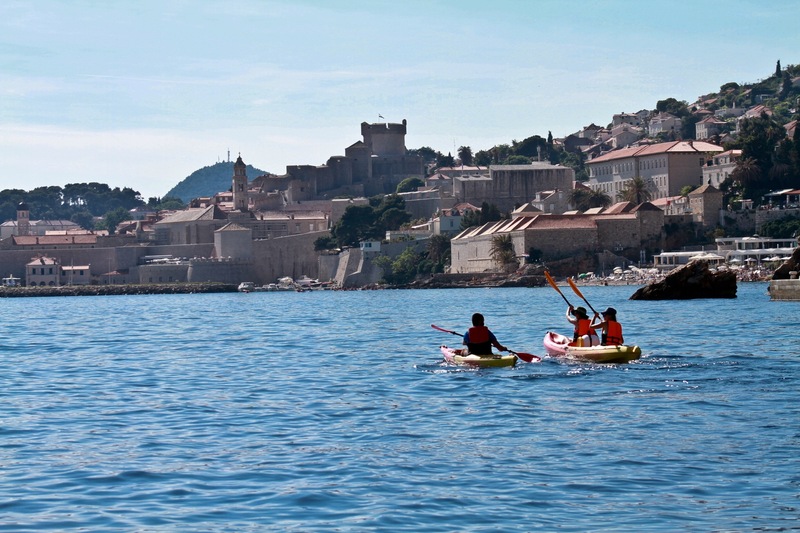 Enjoy Dubrovnik's top summer romantic activity today and experience beautiful local natural and historical heritage from the seaside. 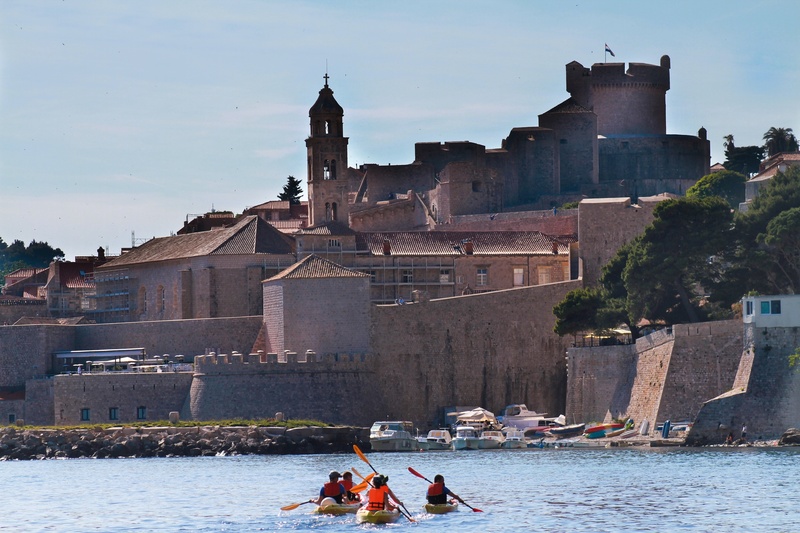 Discover amazing views of the old town, city walls and Lokrum Island, enjoy snorkeling, and learn a bit about the history of Dubrovnik. - Large waterproof barrel for personal items. Tour commences near Pile gate, lasts for about 2,5 - 3 hours. 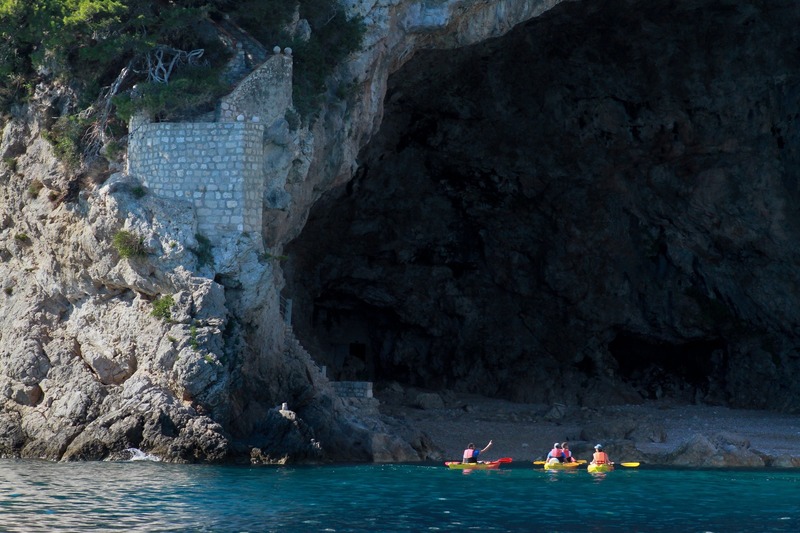 A guide is in charge of the tour, the tour goes from Pile bay around the island of Lokrum, then there is a snorkeling break in Betina cave (accessible only from the seaside) and the tour ends in Pile bay. 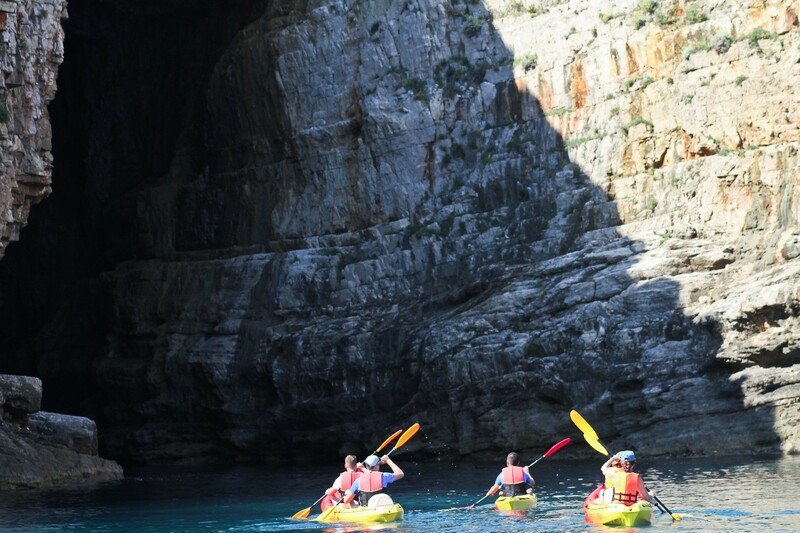 A tour guide, kayak, paddle, lifejacket, snorkeling gear, sandwich/fruit snack and a glass of wine are all included in the price. Please note that booking is required for this tour, you can however book for the same day, or a few hours before. Meet your guide at the Meeting Point 20 minutes before the starting time. 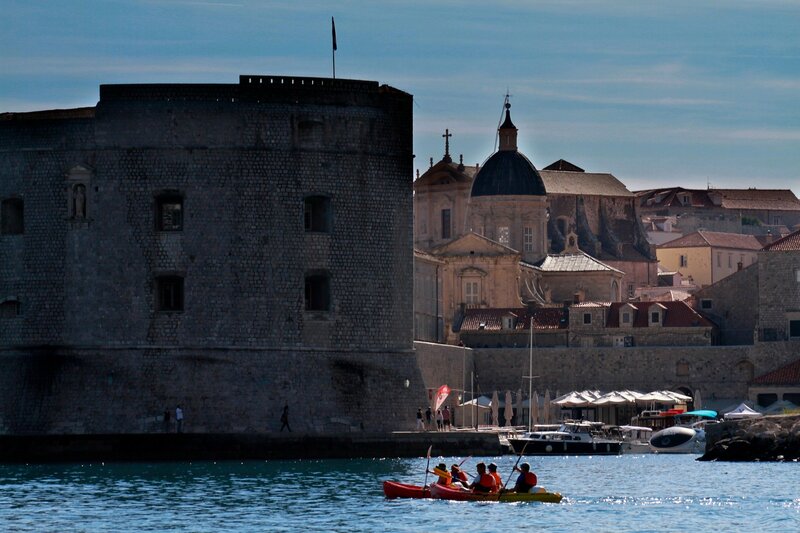 You'll see a Dubrovnik Walks sign & orange umbrella. 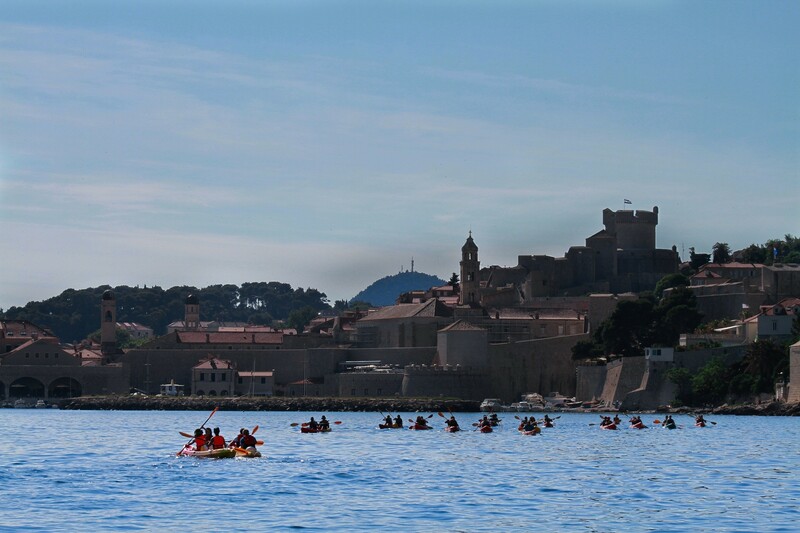 Suitable for: Our sea kayaking tours are designed so they can be completed by people of all ages and require reasonable fitness level. No experience necessary. 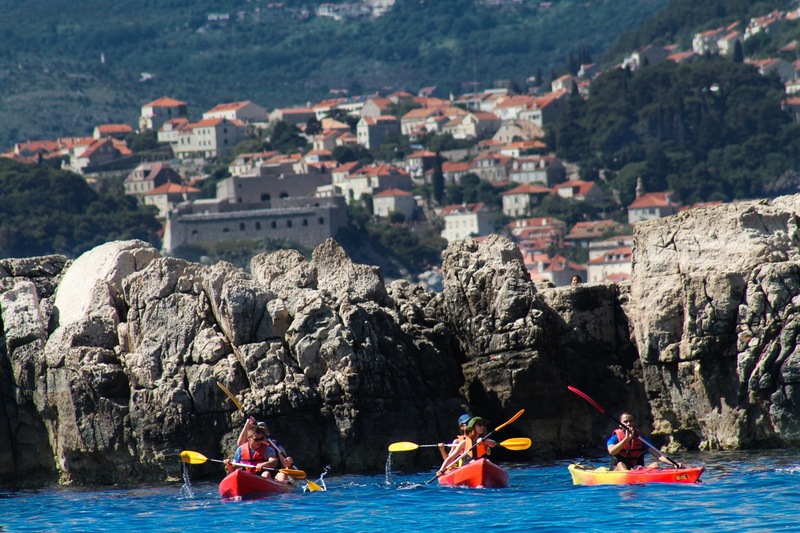 PLEASE NOTE It is necessary to comply with all safety instructions provided by Dubrovnik Walks. We reserve the right to cancel the trip, without prior notice, in case of bad weather conditions. In addition, guides retain the right to change the route. Also, if a weather goes really crazy, we might cancel the tour. A reschedule or a refund will be offered in this case, but only if we cancel the tour. How will you know for sure? Contact us (click on the upper right corner). 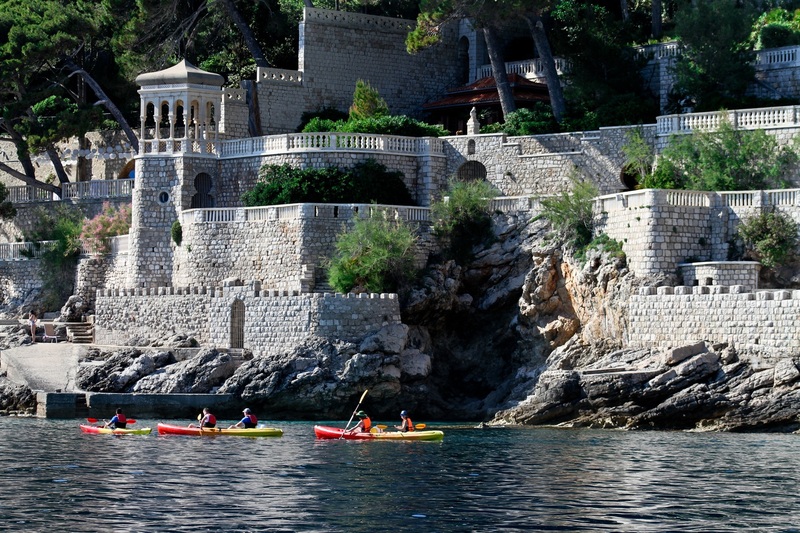 Booking for our kayaking tours is required. We will not accept arrival on alternative days or times other than the one indicated on your voucher.